Bored me! | You're not alone in this world. 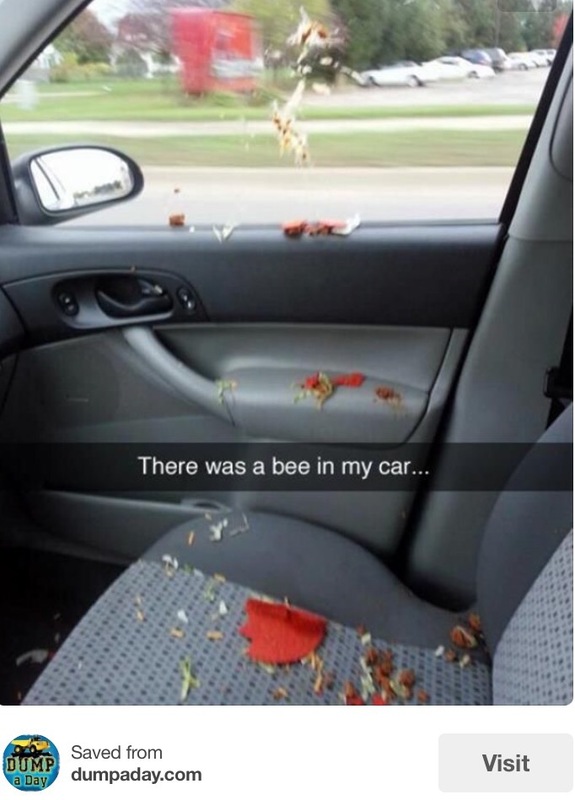 Lol this is so something I would do, I seriously could see myself running over curbs and into buildings over a bee. 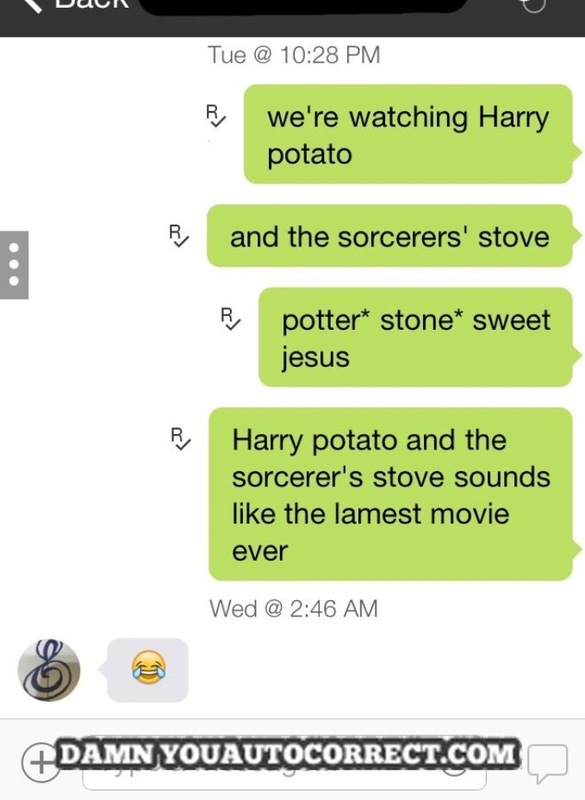 “Harry Potato and the Sorcerers Stove” lmfao best auto correct yet! 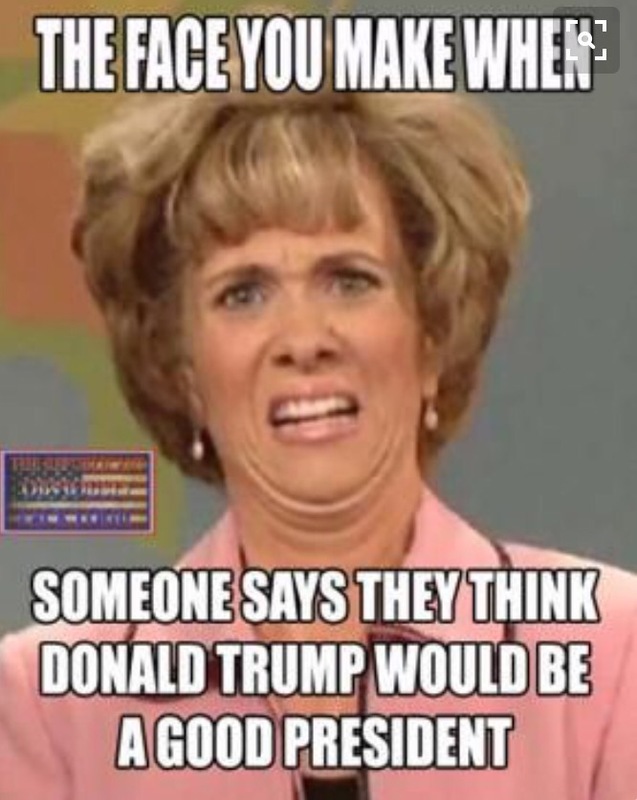 My face everytime I watch the damn news. I was searching things about different countries and their slang, I found some pretty interesting things about England! I know I have a lot of UK followers so I figured I’d post these to see if they’re 100% accurate! IIs our spelling this much different?! 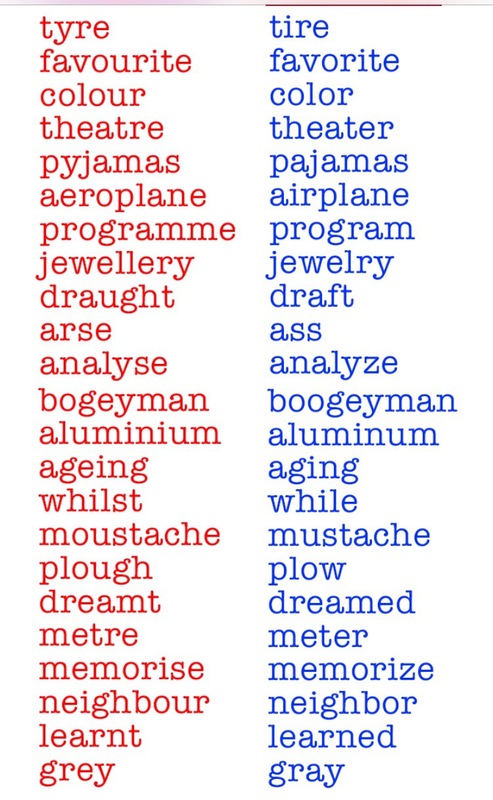 Blue is America, Red is England. If this is true, people from England probably think I spell awful!!! Most of these I already knew about. Like we say French Fries, you guys say “chips”, I learned this in elementary school and just thought it was the coolest thing ever. I just never knew there was this many different ways we say things! If I was too visit England and never seen these pictures, I would probably turn down a ton of meals that I love, just because I don’t know the way they call it! Crazy to me! 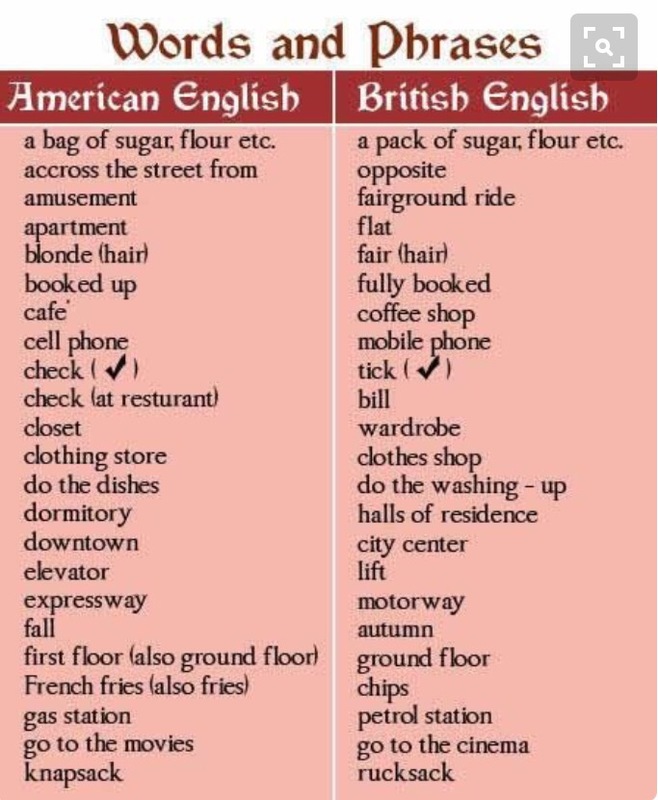 I think it’s insane how differently countries speak English and all the slang we’ve came up with! This is interesting. I guess in the UK, I would say, “I love aubergine”? I love eggplant! Lol I’ve never had and eggplant! I guess I would say “I love prawns” lol because I love shrimp! 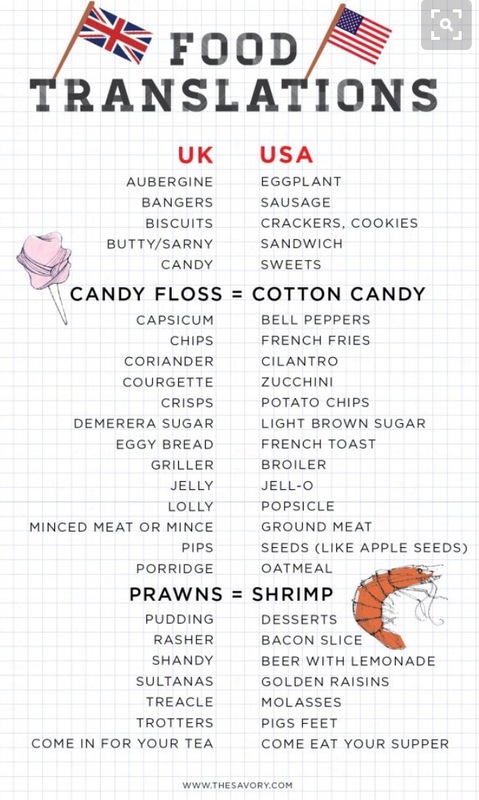 It’s funny because I tried shrimp once and liked it and then I tried it again and HATED it! Wasn’t it you who I told about that happening with me and pineapple too? Yeah, it’s SO weird! You’re the one that got the turtle necklace though right? Sorry. Okay. I feel bad, I just mistook you for the person I told the pineapple thing too AND I messed up a blogger’s name! I’m off my game today, lol! Lmfao it’s okayy, no need to feel bad! I I was wondering if it was me because my memory is shot lol. I was tagging the wrong people the other day too. Now I’m curious if it was you….hmmm…did you mention how you hated pineapples in a post? Noooo I love pineapples lol! I find it funny that I grew up in America but I actually spell some things the UK way lol.